Discussion in 'Calibration, Help, and Troubleshooting' started by Archania, Jul 5, 2016. Ah so frustrated at this point that i want to mail it back in tiny little pieces. I have the bed leveled. Saved it many times to make sure that it stuck. Using Jenkins Profile for the BigBox Hybrid-Dual.FFF. But there is also Alex's one, copy of the Official BigBox profile. Still not sure which is good to use or if even there is a better one to use. 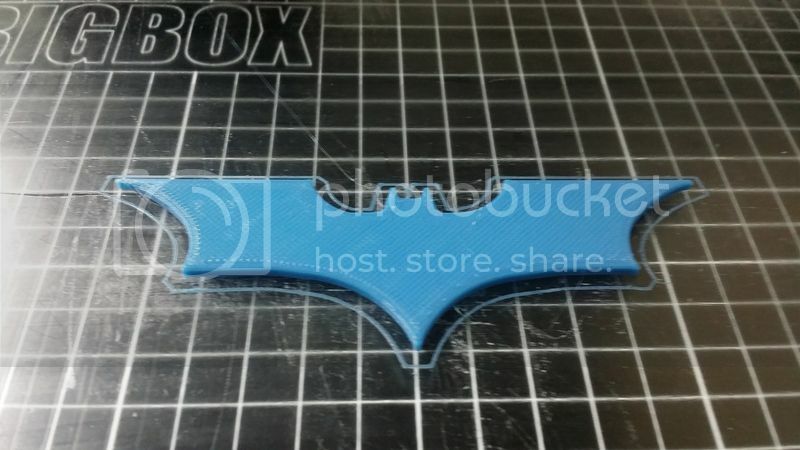 Was able to print a Batman logo (so i can see the first layer to make sure it is looking good). And had to tweak the settings to get a great first layer. But then switched profiles in S3D to get some other prints done on another machine and didn't hit save. Ok not a big deal change the first layer settings and all should be good.. right? WRONG! I did get another print out but the supports welded to the piece. very frustrating. Then stopped, went out, came back and tried to print again but now am getting some funky strange zig-zag pattern when it prints. No clue where this is coming from. So i removed the profile. Readded it to make sure that I didn't totally screw it up. So now I am at a total loss here. I attached the profile that I am using. By all means if there is one I should be using, let me know. Different firmware, let me know. I have been using prusa's firmware uploader to get the hex file to the machine since I can't seem to understand how to do it through the Arduino program. Can you take photos when homes on Z with Z position indicted at 0 on the LCD? To me, it looks as though its more of a mechanical problem. 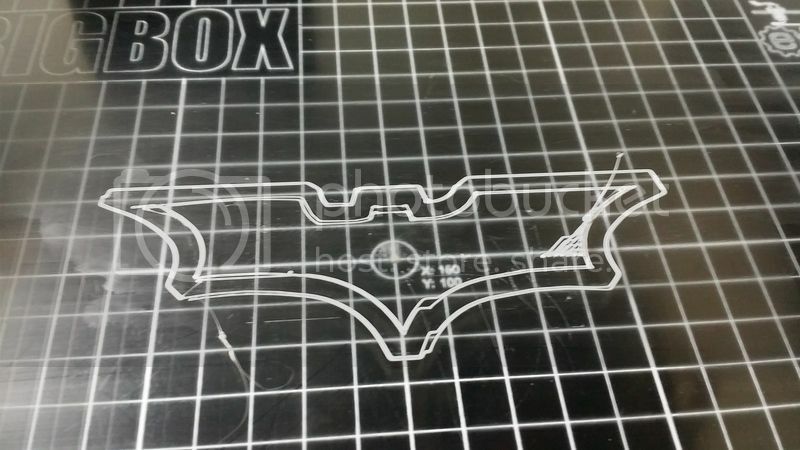 If you look at where it is doing the infill on that second batman print, it is shift up on the Y. Are your belts properly tight and are the pulleys still in place with their grub screws fully tight? Belts are all tight. Grub screws all tight. Yes paper method with a business card. Alex, Do you mean play with the Z offset in the Control portion of the LCD? Wouldn't that throw off what I did with the paper leveling? I went through and tightened the grub screws and double checked the belts. I even did the load memory. Trying it again and would you believe it is going nicely now! No magic, I think what you experience is the fact that the ir is not that good and often the homing is not good at turn on. 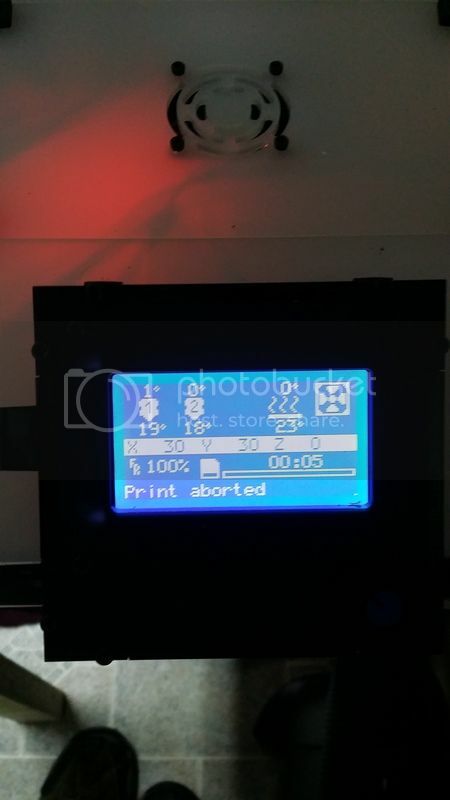 I suggest to always load state after turn on, home, level and print. Leveling the bed has nothing to do with getting the correct distance from bed to nozzle at Z=0. Though if you do it with paper you normally get that and have done two things in one step. Take good note of what Alex said. I get very good first layer results almost every time and I use a very thin feeler gauge 0.02mm, the set available here. I use the very thin one so that I don't need to adjust the Z offset as that thickness is not a problem if not accounted for. You can use the thicker ones but then you must make the offset adjustment by that amount as @Alex9779 says. 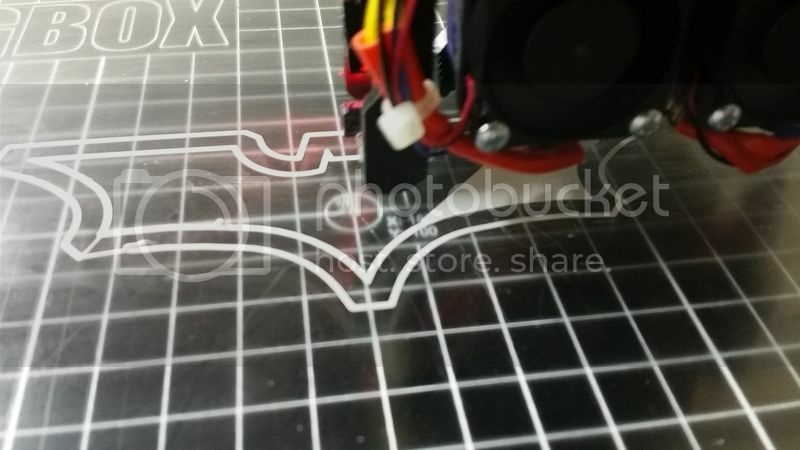 I do not have to make first layer extrusion adjustments in general but may tweak the flow rate under the Tune menu for a new filament and make the adjustment for that filament in the slicer process the next time I use it. I noticed (and still don't understand what setting could be different) but my Z offset was at .55 and prints were great. 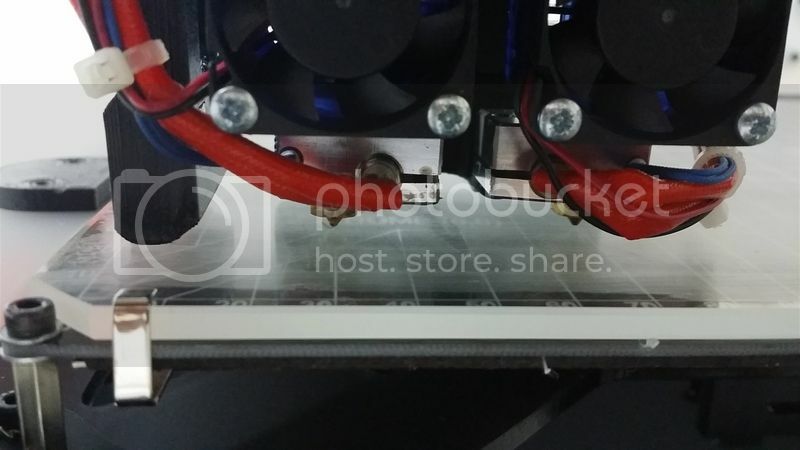 I also upgraded to the S3D profile from here https://github.com/Alex9779/BigBox-Settings specifcally "BigBox Hybrid-Pro.fff"
and now I have to have the Z offset at 1.25 or it prints in the air. 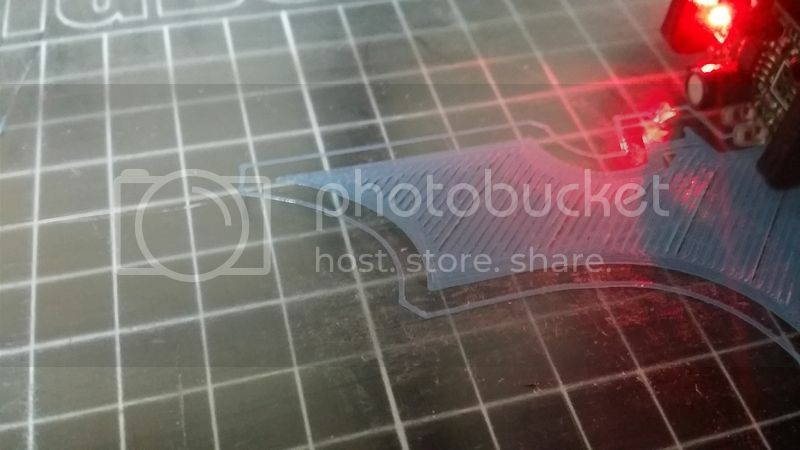 Other than that the profile has great settings and I generally have great prints! I have a print going atm. My son keeps telling me all is good. So we will see when I get home from work. So need this to be fully working. I have prints that just don't fit right on the other 2 machines. Thank you all for all the info and help. It is greatly appreciated. I can assure the profile has nothing to do with it. It even lowers the first layer height to 90%. There is no other setting in the profile which alter the first layer height or introduces an offset.